Last night’s dream was quite amazing. As I was falling asleep for the night I had a vision where I am with a young man embarking on a journey. A man calls out to us from a distance. As if calling me into the dream. I’m unaware I am dreaming because I’m still awake and was about to get up to turn off the lights but at that moment am completely pulled into the experience. I gesture over to the young man standing beside me asking, “Who is this man who calls from a distance?” His voice is very familiar to me. I focus on his face and like a mirage it begins to fade in and out. The first awareness comes to me, I am visioning. I’m still curious who the man is who calls from a distance. In this moment, I am unable to discern who is real and who is part of the vision. The man next to me feels very real. He is so much a part of me I don’t even question who he is. When in reality both are dream figures but it just doesn’t occur to me to ask who is the man standing next to me. I struggle to get a good look at the distant man’s face. Cleo my cat jumps on the bed and awakens me. I get up, pet her and turn off the lights. I am now in a Colosseum where hundreds of people are gathered for an event. With this many people it is hard to control who enters and is present. I seem to be the head master or person at the top of the ticket but I don’t have full control on what happens at the periphery. It reminds me of a scene from Harry Potter. Magic is happening everywhere. Everyone knows magic here. Wanting to verify my audience and test whether my minions are in harmony with my ask, I send out a signal which in essence forces all those present to identify themselves. The responses come back. There are a few responses I am not happy with. A second call goes out to try to harmonize correctly. It is very much like tuning an orchestra. They must be in tune with my vibration for us to proceed. I am still not satisfied with the response. I hear something in a side room the kitchen. I walk over to the kitchen but don’t see anyone there yet I can here the clatter of dishes. It spooks me for a moment but I am determined to draw us in harmony. I walk around the kitchen attempting to come closer and closer to where the sound originates. I end up following the sound unto a brick oven with a chimney. The brick all around is crimson red. I wonder if I am going to get buried alive in here. I try to fly from this position but am unable to reach any heights. I sink deeper and deeper into the oven as the brick closes in on me. I refuse to be overtaken. I send out yet another signal which causes an etheric clearing to open in the walls of the oven. A swarm of dragon flies enter. They are of every color of the rainbow. They dance as they fly creating beautiful shapes and images of all sizes. The fluttering of their wings create a vibration. The vibration shakes loose the walls and all the surroundings. It is our frequency which harmonizes dissonance. I look up and float through an opening in the top of the oven. I am now back in the Colosseum. People gather here. I see many wear green paint. I assume the green man is among us. There are many other nature spirits present. There is one man with an incredibly full beard. Someone is giving him a shower to hose off some of the green from his thick curly beard. Thoughts in journaling: At first, I didn’t know whether to record the visioning part of the dream which came early before I actually fell asleep. I initially didn’t connect the Ferryman with the other part of the dream that followed until i heard the question I ask him regarding the USB drives. I wanted to see the one he was showing me earlier. It is at this point when he is busy pulling strings to “ferry” (Faerie) us over to the other side. Interesting play on words here. It wasn’t until the I thought the green man was present since everyone had green paint on that I understood the use of ferry. 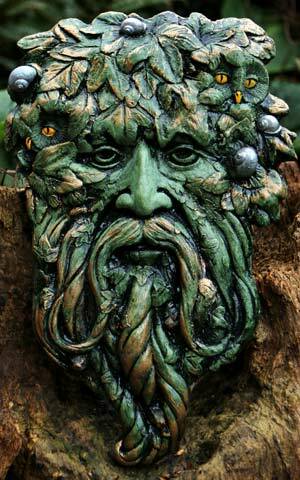 A green man is a faerie. 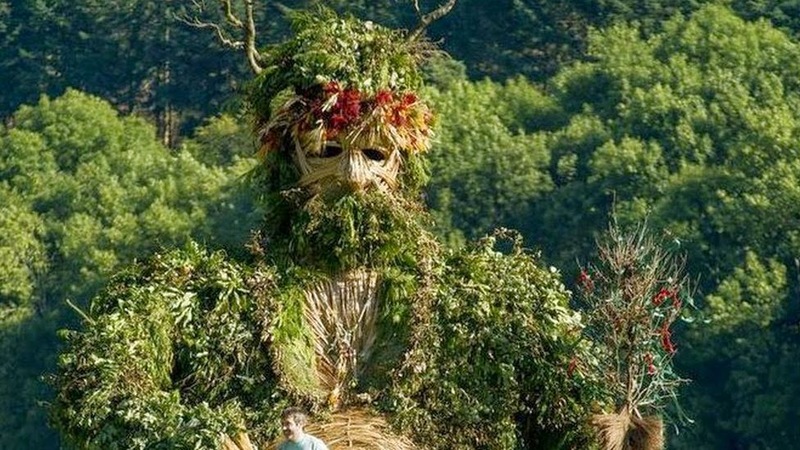 So I think he was the green man. The USB’s were also interesting. I thought what could possibly be on them? It wasn’t until later that I recalled watching YouTube videos of 8 week sonograms of pregnant women and noticed the doctors often hand out USB thumb drives with the sonogram images for the parents to keep. I think this equates places it in an OB category. Other observation was my time in the oven. The oven bricks were red and the space felt closed in. I wonder if is a reference to a uterus. Could this be a reference to OB? Are faeries responsible for delivering children? Last night I had a very long and incredibly detailed dream. In part this may be because I slept until noon because I’ve been down with a cold and trying to recover. This gave me the opportunity to probe deeply into this night’s dream. In the dream, I am at my niece Otiliia’s funeral. I am there with my mom who is in a wheel chair. My neice Otilia is named after my mom. Right off the bat I am somewhat aware or dubious this can possibly be true because Otilia my niece is too young to die. I simply accept the dream for what it is telling me. There are many funeral processions happening at the same time and since I’m not familiar with all the family members who may be present for the funeral I am unsure which party and procession we are supposed to be with. My sister Grace gets in line at the reception where they are serving food. Not wanting to go to the wrong line I sit and wait patiently with my mother. Finally I decide to wonder over with my mom to see if we can find the correct reception party. We stumble over one line that is clearly not our party. Traversing with the wheelchair we are quite visibly intruding on their party. I finally find the line that is our family and it is very long. My sister is standing in the middle of the line already able to get servings of food. I think there must be a better way to serve all these people. We stop where my sister is standing. I can see her face clearly. I am tempted to cut in the line where she is but I feel guilt and instead my mom and I go the the end of the line and wait. While at the end of the line I begin to ask myself how I got here. I remember taking a metro here and I clearly remember the path I took. I want to remember so I don’t get lost heading back home. The steps and directions are clear in my mind. I decide to look at my cell phone’s GPS to plot where I am. In my mind I can see a map of my location but looking at my cell phone it is not the iphone X I have in real life it is a flip phone which doesn’t have GPS on it. I’m curious about the functions of this flip phone so I begin to play with it studying its parts and how it works. For a moment my attention is called back to the party where I see Maria my brother Paz’s wife who has a very thin waist. I think to myself. she must have lost weight because I don’t remember her being that thin. My awareness then goes back to my concerns about my phone. Again I look carefully at the phone. The more I concentrate on the phone the bigger the phone gets until finally it is the size of a television but it seems to be broken because it has two disassembled pieces. It occurs to me that maybe the two pieces are improperly positioned. Head to toe, top to botttom there must be some rhyme or reason here. I turn them over and am able to reassemble to two parts. The two pieces fit like tongue and groove with each other with the now quite large keyboard remaining inside. With the phone reassembled the phone becomes one within itself. I try to figure out the phone in its new configuration. I am playing with the screen and accidentally hit the panic mode. The phone siren sounds off continuously like my car’s panic button. I can see the screen clearly which is quite foreign to me. I’ve never seen a screen quite like this one. I am finally able to cancel the alarm. It then becomes apparent that in canceling the alarm the phone now seems to be responding to my thoughts as if it has sync’d up with my mind. This awareness causes me a bit of confusion. Wasn’t the iphone broken? With that thought I can see my iPhone X in a distant place in perfect shape. So I think OK that’s my perfect phone but there is still doubt in my mind with all the strange things that have been happening. I question what is happening in the dream. Now the phone in my hand is back to its small self. Is this my real phone? I look to the distant place and now see the phone in the distance place is broken. It seems this phone has an affect on the distant phone they are somehow interconnected. Now I’m looking at the broken phone with the knowledge of how to put it back together I fix the phone in the distance. With the near and distant phones repaired I have the awareness that this is my dream phone which immediately triggers me to become lucid. All the awareness of everything from this dream is in the present moment. I start to wake up becoming aware that I am in my bed. I gather my thoughts and recall what is important to me from this dream to bring into my waking life. I faintly recall something about my partner. Yet there was nothing about a partner in the dream. The phone however had a partner. I ask who is my partner? In the distance I see the chest of a man. The vision of his chest fills my entire field of vision. I try to figure out whether this image is before me or in the phone because last I remember I was looking at the screen on the phone. Am I in the phone? The man before me is immense. I want to see the face of the man. Does this man have a beard like me? The image begins to move. He is a wild man. A savage. I can now see the long wild lion like hair on his head and full beard. The man also has twigs and leaves in his hair. He is completely unkempt. The image is a monotone color of brown black and slight shades of yellow. I want to know more about this man, who he is. I also want to know the answers to the questions in the dream. I don’t want to wake up without knowing my truth. The image begins to move. I see a river start to flow over his shoulders. He appears to be standing in a creek. There is mud flowing over him and becoming deeper and deeper. It reminds me of those endurance events where the men crawl through mud. I can see him struggling in the mud. The mud gets deeper and deeper. I notice the twigs in his hair have remained with him throughout his struggles. I am captivated by this fact. How could the twigs be part of this man. He is now fully submerged in the mud. The mud now becomes passive and tranquil. I wonder for a moment what happened to the man when all of the sudden I see his twigs spring forth from the ground followed by his face. Blue and lavender color begins pulsing from deep as leave and branches begin to emerge from his face. Small wild flowers come into bloom. His countenance remains forever present in the foliage. I awake from the dream. Waking up this morning it felt reminiscent of the dream that i had 2 nights ago the night I couldn’t remember my dream. This is because when I awoke I initially couldn’t remember a thing except for a phone call I had just received before I woke up. I heard someone’s cell phone ring next to me. I looked over at the cell phone and thought it might be mine but on closer examination it wasn’t mine. I thought I would answer it on behalf of the person whose cell phone it belonged to. I answer and say, “Hello.” The person on the other end asks to speak with Nevitt. I sit up look around the room to see if there is a Nevitt here. I then realize I’m dreaming and the only Nevitt I know is my neighbor who lives up the street. It also occurs to me that anytime I hear my cell phone in a dream its from my guardian angel Jennifer. I was reminded of this fact yesterday when I read my dream from my book which i posted yesterday. This phone call just didn’t feel like a dream even though it was. At this point I’m sitting up in my bed looking for the owner of the cell phone which I guess must be me since I am the dreamer. I got myself up and headed for the bathroom struggling to remember any part of the dream leading up to the phone call. I then recall seeing my mom carrying a large bird on her shoulder. The bird had bright yellow feet. I also recall walking in my mom’s back yard off of Loma Drive in Los Angeles where I see a set of spiral stairs that she had recently put in. The stairs are made of concrete. I recall the risers being very smooth and shallow hugging the slope of the hill. The treads contained large gravel stones that created small impressions and bumps on the tread. I remember thinking to myself that the steps appear to be very similar to the ones I had had placed in a very similar space. How is it that they are the same as the ones I recall yet I don’t even recognize them. There is a familiarity yet there is not. It felt like a paradox. I then recall a gathering of people who were celebrating with sparkling water which at first glance looks like Cognac because of the purity of the water and its slight yellow coloration. This elixir they are serving is referred to as liquid viagra. Knowing drinking doesn’t agree with me they also have several vials of colored water. There are vials in every color of the rainbow. I’m told these too are liquid viagra and suggest that I partake. I walk over to examine the vials. The quantities are going quickly as guys are coming over to help themselves. I decide to take one or two for myself. There aren’t enough remaining to represent a full rainbow anymore. I hastily grab two then notice that the person behind behind me is left with only one. Feeling empathy for him, I offer him mine. The dream ended there. So why the addendum? 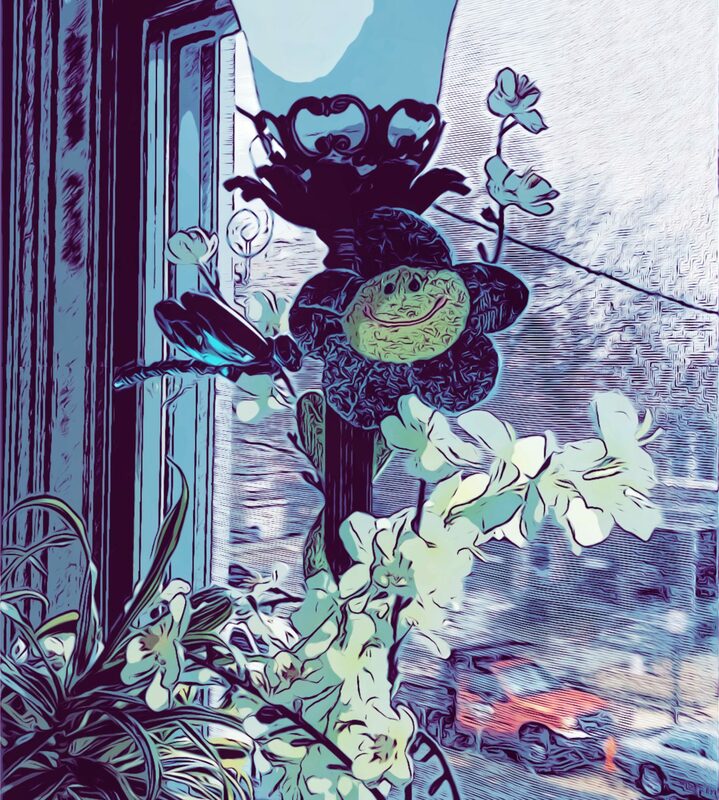 Well during my morning coffee I thought of ways to improve or add to my sacred space. Calling on sacred objects from the past that I can place in the present to enhance my morning prayers. I remembered I have a Buddha in the basement which this Buddha also has a host of history that I can share. We’ve had many a late night conversation. So I ran downstairs to bring her up. 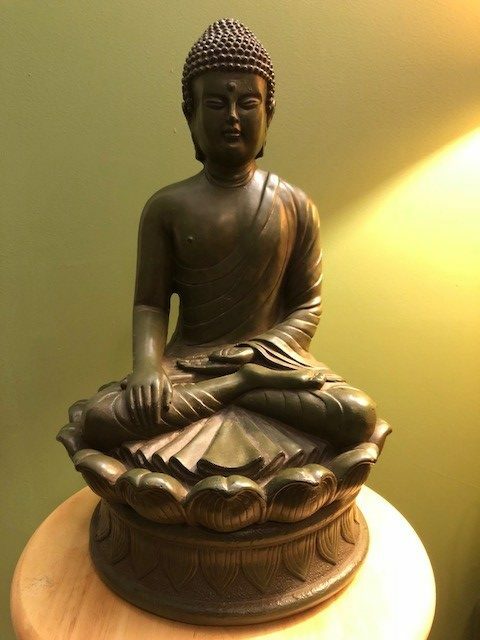 I always refer to my Buddha statue in the feminine because she has a feminine sounding voice in my head when she talks to me. I placed her on a bar stool in the dining room where I can see her from where i sit to have my coffee and morning prayer. Staring at her and sipping my coffee I realize she is green and she in fact is actually a man. She is a Green Man. So today now April 7th, 2018 (tells you how long it takes for a dream to unfold and for me to journal one) I had a PIT Training Course to attend. PIT is a training that is offered to new Mankind Project Initiates. I became a Warrior this past March 2nd weekend. Anyways, the training was held in a Meditation Studio. Up on the wall was a very large Buddha sitting lotus in a Yellow robe. Coincidence I think not. An interesting story around my coming to the Mankind Project relates to another very powerful dream I had. Before I can tell you about this dream first I must preface it with a story. It takes me back to the very beginning when … well I will let the book tell it. For me, all the magic has revolved around a single penny–a wheat penny. It began in the fall of 1995 with a series of precognitive dreams. I had been seeing a therapist who suggested that I journal my dreams to help me get in touch with a host of unresolved issues. I felt very much an outcast. I was poor, Hispanic, gay, and HIV positive. The answer came in a subsequent dream. This dream is the hallmark of all the dreams in my life. It led me to know there is a God setting everything into motion guiding my path toward self-actualization and revealing my purpose in life. I am working at an elementary school servicing the lunch lines for the kids. I usually eat my lunch before their lunch hour begins but today I do not have a meal ticket. The supervisor of the cafeteria tells me that she has an extra meal ticket that I can have but before I can have it, I must agree to pick up all the pennies that have fallen on the ground. I agree and proceed to get down on my knees to collect the fallen pennies. There are so many pennies that I cannot hold them all in my hands. They begin falling out of my hands. I am trying hard not to drop any while at the same time picking up the remaining pennies that are still on the ground. I am anxious because I want to get my food before it is too late. I finally get to the last penny and I notice it looks different from all the others. It is a very old penny with much wear on it. As I pick it up and look closely, I realize that it is a wheat penny. The next day after I finished reading “Iron John”, I decided to stop after work at Borders Bookstore to buy another book. At the suggestion of my therapist, I purchased, “Fire in the Belly, A Book about Being a Man”, by Sam Keen. As I walked out of the store, I quickly took the book out of the bag to page through it. Standing in front of Borders Books, I suddenly had a very strange feeling of déjà vu, except I could not pinpoint what it was that I had already seen or experienced. Puzzled, I scratched my head and looked around to try to piece the puzzle together. My eyes then fell to my feet and to my total disbelief I found myself standing in the middle of a bunch of pennies that someone had apparently dropped on the ground. Memory of the dream immediately came rushing back into my mind. There were no nickels, dimes or quarters; only a bunch of pennies. I could not believe it. There were dozens of pennies. When I came to the last penny, I paused, not knowing what to expect. Were the heavens going to open up? Was I going to hear God’s voice? Would an angel appear in front of me? Since it was already nightfall, I picked up the last penny and stood up and walked over to the window display of the bookstore to have a close look at this miracle penny. Upon examination and to my amazement the penny was in fact a wheat penny. I felt overwhelming joy and peace in knowing God was really out there. On the other hand, I still had no clue what he was trying to tell me. I had a great sense of frustration come over me in not knowing what was being asked of me. “What do you want me to do?” All my energy drained from my body and I just stood there with my body and head pressed up against the bookstore display window. With my eyes closed and tears of frustration running down my face, I called out to God, “Please God, what is it you want me to do?” Nothing. I heard no voice, I saw no divine apparition, nothing. This book is the fulfillment of that request. The saying, “Pennies from Heaven”, took on a personal meaning for me and dream journaling became my connection to God. For the next 10 years, God would confirm his lessons in my external world with synchronicity by placing pennies in my path for me to find at precisely the right place and time. The synchronicity of the pennies became unmistakably God’s voice. Interestingly enough I always found pennies in groups of ones or threes and I knew God in His own way was winking at me letting me know that I was on the right track. For those 10 years not much happened; I did my dream work and studied anything and everything I could get my hands on: Buddhism, Hinduism, Taoism, Edgar Cayce, Self Realization Fellowship, philosophy, mysticism and mythology. Having been raised Catholic, and being gay, I really did not have a good taste for Christianity. However, with the sense that God really cared about me, I wanted to give Christianity another try and study it for myself instead of relying on what others had to say. Therefore, I renewed my interest in Christianity and began studying the Bible independently and with different Christian denominations, including the Mormons. Of course, as soon as I told them I was gay, they all wanted me to renounce my so-called lifestyle choice and be baptized. Since I would not do that, they eventually wrote me off as a lost soul and went about their business. However, I knew that God had not abandoned me; he was with me. I persisted in my independent study and eventually found a non-denominational Christian church that did accept me. I was baptized by them since I felt baptism into the Catholic faith was not my conscious choice as an infant. Things finally began to shift into high gear in the summer of 2005. I began to see with my eyes closed, colored lights panning back and forth in my field of vision when I was falling asleep at night. Trying to find the cause of these lights, I researched the Internet and found instances where terminally ill patients often reported having mystical experiences similar to mine several months before dying. Was I having a mystical experience? More importantly, was I nearing my own death? In November of that year, I took a trip to visit my parents in California. While on that trip one day my sister and I were talking and out of the blue she shared with me that she had this synchronistic thing happening with finding pennies. She had never shared her penny experiences with me and I never thought to share mine with her. We looked at each other in disbelief. I also shared with her my mystical experience of seeing the colored lights. I affectionately termed the experience “my night lights”. I took this coincidence to be a sign from God signaling me to put pen to paper or fingertips to keyboard and began the actual writing process for the book He had wanted me to write. I still did not know what God wanted me to write about, but I assumed it had to do with my life experience and dream work as a source of divine guidance. That trip was full of synchronicities but now the synchronicities were shared between me, my sister and the universe. Suddenly the phenomenon involved a person outside of me. We were like kids in a candy store. My sister and I began talking almost every day. The coincidence here is that the Mankind Project basis much of it’s work on the story Iron John.